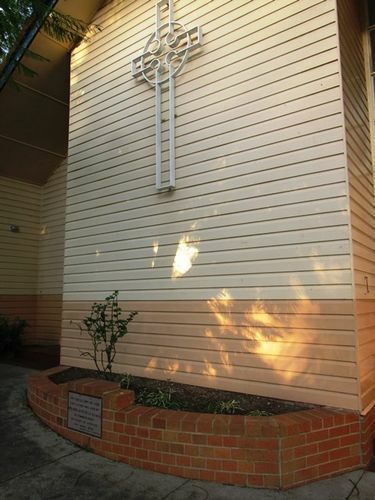 A plaque commemorates 25 years of service by the Windsor Presbyterian Church. REV.PROF.J.F.PETER B.A. B.D. DIP ED.